Many EEA citizens wishing to secure their status in post-Brexit Britain are applying for permanent residency, an essential step on the path to British citizenship. Immigrants from outside the EEA can usually get permanent residency (‘indefinite leave to remain’) after five years of lawful residence. EEA citizens also become eligible for permanent residence after five years of living in the UK. But although their residence may have been lawful, the government is placing additional barriers in the way of EEA citizens obtaining permanent residence, resulting in a state of ‘suspended citizenship’. What do permanent residency and jobseeker’s allowance have to do with each other? 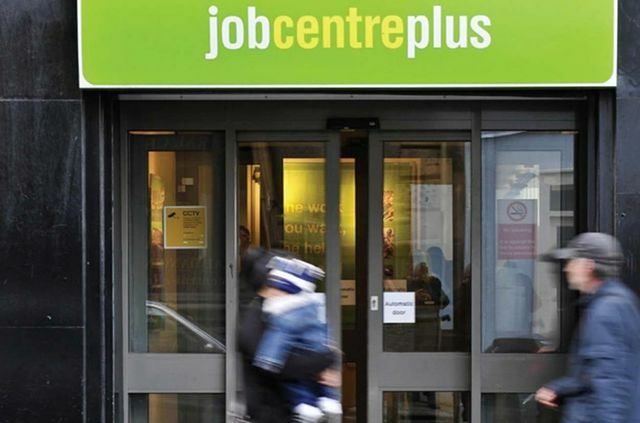 Political concerns over ‘benefit scroungers’ have gone hand-in-hand with the implementation of the welfare state, and for someone out of work to receive payments they must be actively seeking work (since the Unemployment Insurance Act of 1921). Such concerns led to the rebranding of the benefit as ‘jobseeker’s allowance’ in 1995. This, according to John Mackay, then minister of state, department of social security, replaced a system “designed to support people while they are out of work” with one that “emphasises the responsibilities of unemployed people to take every advantage of the opportunities open to them to get back to work”. The rebranded benefit included measures to enforce flexibility to work in any capacity; a “claimant commitment” by the jobseeker to be ready and available and actively seeking work; and penalties for failure to be demonstrably seeking work. Claimants have to appear in person every two weeks to confirm their ongoing commitment and demonstrate their efforts to obtain work. Such stringent requirements – as portrayed so vividly in Ken Loach’s I, Daniel Blake last year – thus surely demonstrate the government’s determination to ensure that the jobseeker’s allowance only goes to those actively seeking work. At the same time, the fear of ‘immigrants’ becoming ‘a charge on the rates’ has long been a part of UK immigration law. One of the earliest pieces of immigration legislation – the Aliens Act 1905 – explicitly identified the “undesirable immigrant” (who would not be eligible for leave to remain) as he who was unable to demonstrate a “means of decently supporting himself and his dependents”. The association of ‘benefit scrounger’ with ‘immigrant’ has only grown stronger in the intervening years. In 2013, David Cameron argued that welfare reform and immigration were “two sides of the same coin”, the ‘coin’ in this case being the “‘something for nothing’ culture”. Theresa May’s administration has refined this discourse further through its anti-EU stance: EEA nationals are the ‘benefit migrants’. Such discourse is reflected in Home Office policy. In the case of Antonissen (C-292/89) the UK government argued that free movement should be limited for job seekers. The European Court ruled that it was “not contrary to Community law” for individual states to require nationals of another member state to leave if they have not found employment there after six months, “unless the person concerned provides evidence that he is continuing to seek employment and that he has genuine chances of being engaged”. This ruling has been incorporated into the regulations such that new arrivals cannot claim JSA for the first three months, and then may claim for a limited period of 91 days. But with regard to those seeking permanent residence, the regulations state that you cannot retain the status of job-seeker (and therefore status as a ‘qualified’ person) “for longer than the relevant period without providing compelling evidence of continuing to seek employment and having a genuine chance of being engaged” (our emphasis). The relevant period is “91 days minus the cumulative total of any days during which the person concerned previously enjoyed a right to reside as a jobseeker”. Translated into plain English, for those seeking permanent residence, any more than 91 days in receipt of jobseeker’s allowance, at any one time or cumulatively over the five year qualifying period, requires not just evidence of actively seeking work and having a genuine chance of being employed, but compelling evidence of actively seeking work and having a genuine chance of being employed. Being in receipt of jobseeker’s allowance is not considered evidence of actively seeking work, compelling or otherwise. Two cases on this issue have been raised more recently in UK Courts, with the government again arguing that “it is for Member States to determine what will satisfy the test and constitute sufficient proof of a genuine prospect for work, […]. The requirement for compelling evidence is not prohibited by the Directive and has been properly set out in guidance for all decision makers.” In practice, the Home Office requires compelling evidence of actively seeking work, even when the period of time is short: two or three months. An example: Ms A came to the UK from Spain at the age of 19 in 2007. She wanted to improve her English and what better way than to live and work in Bristol? Indeed, the 2011 census showed just under 20,000 people living in Bristol were born in another EU state, just under 5% of the city’s population. She got a job doing bar work for a few weeks; did a summer stint at a hotel on the coast; took JSA for four months; worked in a factory for eight months; then as a waitress for two years; got laid off and claimed JSA for seven months; got a job with an events catering company where she worked full-time until 2013; then began studying for a qualification in childcare and early years, during which time she supported herself by working on a part-time basis. She believed she had met the criteria for five year’s residence by 2013, but was refused on the basis that being in receipt of jobseeker’s allowance is not evidence of actively seeking employment. Her time spent as a student does not satisfy the regulations because she did not have comprehensive sickness insurance. Her time spent as a part-time worker does not satisfy the regulations, because she did not earn enough to meet the Primary Earnings Threshold. She has resided lawfully in the UK for ten years, but she is still, by the government’s reckoning, not eligible for permanent residence. When did EEA nationals become the enemy? Proving retrospectively that some years ago you were actively seeking employment when you were on jobseeker’s allowance (and the Department for Work and Pensions only keeps the notes which might help you to do this for eighteen months) is just one aspect of the UK’s restrictive attitude towards permanent residency, which stands in contrast to other EU states. EU nationals living in another EU country become eligible for permanent residency after a period of five years’ continuous residence and exercise of treaty rights – as a worker, self-employed, self-sufficient, student or jobseeker – but individual states have different application procedures and requirements for supporting evidence. Since Theresa May’s time at the Home Office, the UK’s application process for permanent residency has developed from an optional and free, 11-page document to a mandatory 85-page document costing £65. Germany uses a 2-page document (€8); Italy’s is 8 pages (free); Ireland’s is 5 pages (free). With regard to employment requirements, the UK Home Office takes a strict approach, and will scrutinise closely applications for evidence that work is genuine and effective. In Germany, to secure permanent residency one must have evidence of a ‘secure livelihood’ without recourse to public funds. In France, EEA citizens who have been resident for five or more continuous years may apply without the need to prove income or employment. The 2017 EEA Regulations require those seeking permanent residence to provide “evidence [that they were] seeking employment and [had] a genuine chance of being engaged” during any periods as a jobseeker. In practice, being in receipt of jobseeker’s allowance does not constitute such evidence. As such, this is either an acknowledgement that jobseeker’s allowance isn’t rigorously monitored or a blatant admission of a double standard. For EEA migrants, being in receipt of JSA or not is simply not sufficient evidence of either actively seeking work or being voluntarily unemployed. Ms A, and many other Bristol residents like her, feel their access to citizenship has been suspended. Presuming she now finds work and keeps it for five years – a presumption which assumes the British government will not withdraw her right to work post-Brexit – Ms A will become eligible for permanent residence and subsequently for British citizenship after 15 years in the UK. The government should act now to reduce the cumbersome burden of evidence required of EEA nationals seeking permanent residence. By making the permanent residency process less complex and more transparent, EEA nationals would be more empowered to take action to secure their status. This would not only reduce stress and division among residents of the UK, but also reduce costs to the taxpayer incurred by complicated application forms requiring time-consuming assessments by UK border officials. #BristolBrexit – A City Responds to Brexit is a free public event at @Bristol on the 23rd of May from 10.00-13.00. The event, organised by the University of Bristol in collaboration with the University of the West of England and the University of Bath brings together stakeholders, practitioners, activists, educators, business people, city officials, religious leaders, and charity representatives to collectively and collaboratively address the challenges of uncertainty brought about by Bristol. The event will feature a series of interactive formats to bring representatives from across the city together to develop new and innovative strategies for taking Bristol into the future. All are invited: register here. Natasha Carver is completing a PhD on gender, marriage and migration among diaspora Somalis at the University of Bristol. She has a background in immigration law and currently works as an immigration caseworker at South West Law. Jessica Hambly is a researcher on the Citizenship and Law Project at the University of Bristol. She has a background in public and administrative law, and her PhD was a socio-legal study of asylum appeal hearings at the first-tier tribunal. This article has been written by Natasha Carver and Jessica Hambly as participants in the #BristolBrexit – a city responds to Brexit initiative. The views expressed here are personal views and do not reflect the views of the University of Bristol or the funders of the organisers’ research. This article was first published by openDemocracy under a Creative Commons Attribution-NonCommercial 4.0 International licence. This entry was posted in brexit and tagged benefits, brexit, citizenship, employment, immigration, job centre plus, migrants, residency, unemployment by policybristol. Bookmark the permalink.